Feeling stressed? 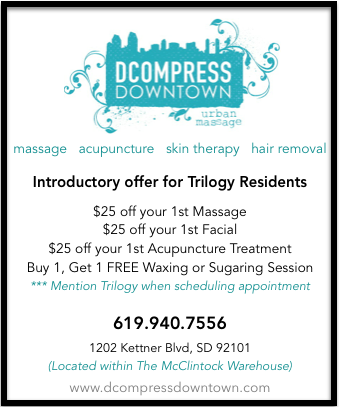 Look no further than DCOMPRESS DOWNTOWN! Special offer for Trilogy Residents!